For the longest time, there’s been talk of a so-called Galaxy Alpha from Samsung, which, among other perks, would finally give fans of premium design reason to take note. In recent weeks, leaks have pointed to a handset with a metallic, chamfered edge, which, while not as high-end as the HTC One or the iPhone, would signify a step up from the wholly polycarbonate finish that consumers have become accustomed to. 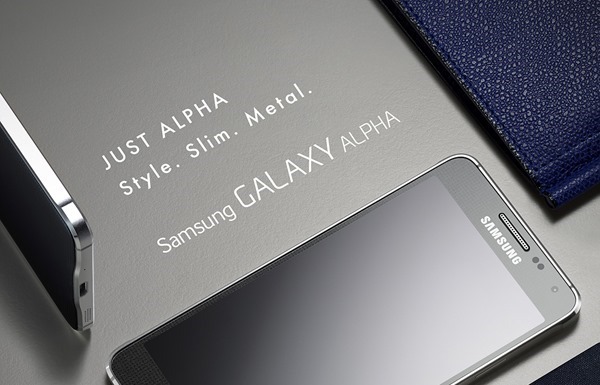 Now, finally, the Korean outfit has officially taken the wraps off the Galaxy Alpha, and below, we mull over the design and specs. Aesthetically, it does bear a striking resemblance to the Apple iPhone, with the prominence of that aforementioned chamfered metal edges signaling something of a departure from that trademark Galaxy look, but while it is rather easy on the eye, it’s not as spec’d-out as we’d perhaps hoped. Some were suggesting, given the similarities between the Alpha sightings and the iPhone, that this handset would serve as something of a response to the incoming iPhone 6. Unfortunately though, the hardware is only slightly above average, and as such, we’re inclined to believe that the Alpha will serve as an affordable ally to the premium Galaxy handsets. 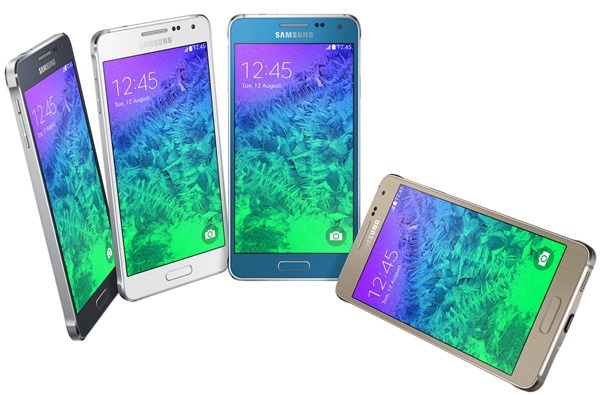 We wouldn’t, with the octa-core processor and 4K video capture, label the Galaxy Alpha as a mid-range smartphone, but it’s certainly not high-end, and on the whole, isn’t exactly riveting with the iPhone 6, Galaxy Note 4 and Nexus 6 due this fall. At 6.7 mm thin, it’s slimmer than the Galaxy S5, but given the raw power of the company’s flagship handset, we’ll excuse it the additional bloat. Announced in February, the Galaxy S5’s display has been lauded as the very best in the business, but with the Galaxy Alpha packing a comparatively meager 720p offering, it’s certainly not going to dazzle like a top-level smartphone display would. The battery is a 1,860 mAh offering, and although this is considerably lower than that of the Galaxy S5, the fact that the device won’t need so much power to keep ticking over should equate to a solid real-world battery performance. As well as Samsung’s own S Health, you get your usual assortment of Google Apps, and with wearables being fairly prominent at this point in time, it should come as little surprise that the Galaxy Alpha offers Gear connectivity right off the bat. 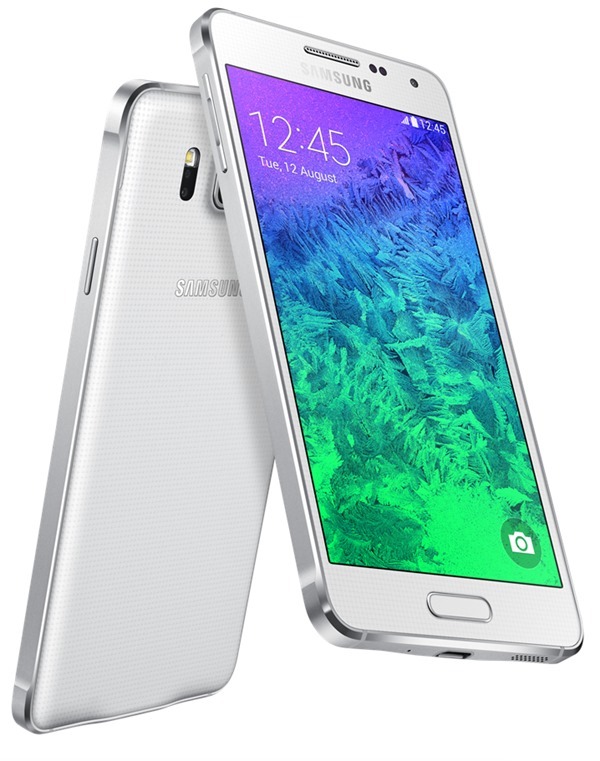 No pricing details have been disclosed as yet, but the Galaxy Alpha will release next month in black, white, gold, silver and blue. 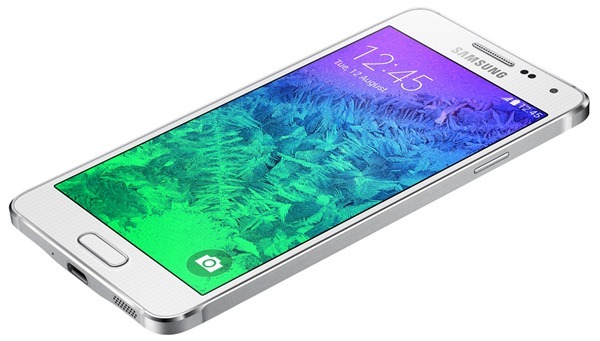 What do you make of the Galaxy Alpha? Hey looks exactly like an iphone. Lockscreen and all. Looks like an iphone. Lockscreen and all. They even KIRF’d the bottom cutout for the speakers. Was hoping the alpha was a premium device with specs to match, seems to have disappointed on all fronts! God darn it samsung. Make something original. It looks just like the latest iphone. Contour, speaker cut, buttons, and even the lockscreen. 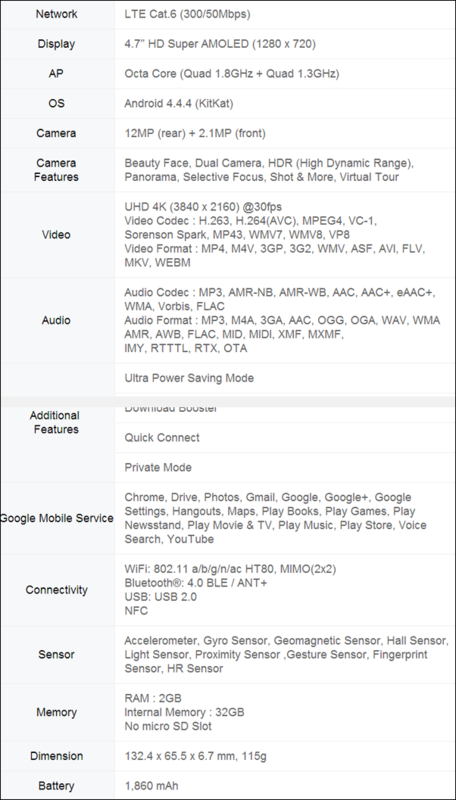 What… No microsd? Is the battery removable or is this a big step backwards? It just looks like a mini Note 3. They made this just to tease apple on patent infringement. Samsung couldnt have been serious when drawing this one up. If these are the final specs, then I’m disappointed. I’ve been wanting to ditch my iPhones for years because I’m tired of always waiting for jailbreaks to free my phone. I don’t want 5 inch phone and was hoping someone finally got it right. What I want is iPhone that handles android and don’t have to wait for jailbreaks to have the same freedom as Android.